Click on the Model checking (PRISM) button on the toolbar to open up the dialog window below that will allow you to specify the properties to analyse in your model. Load the model checking parameter file model_checking_prism.params by clicking Load from the dialog toolbar and navigating to the location of the negative autoregulation model. Check the parameters then run the experiment by clicking on the Perform button. 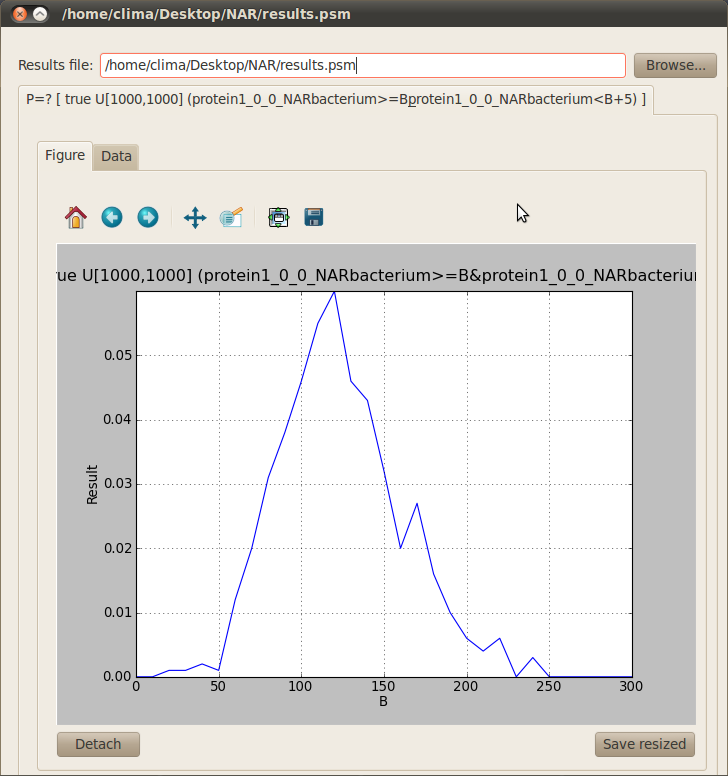 Once the experiment has finished the following tab will appear automatically showing a plot of the results. 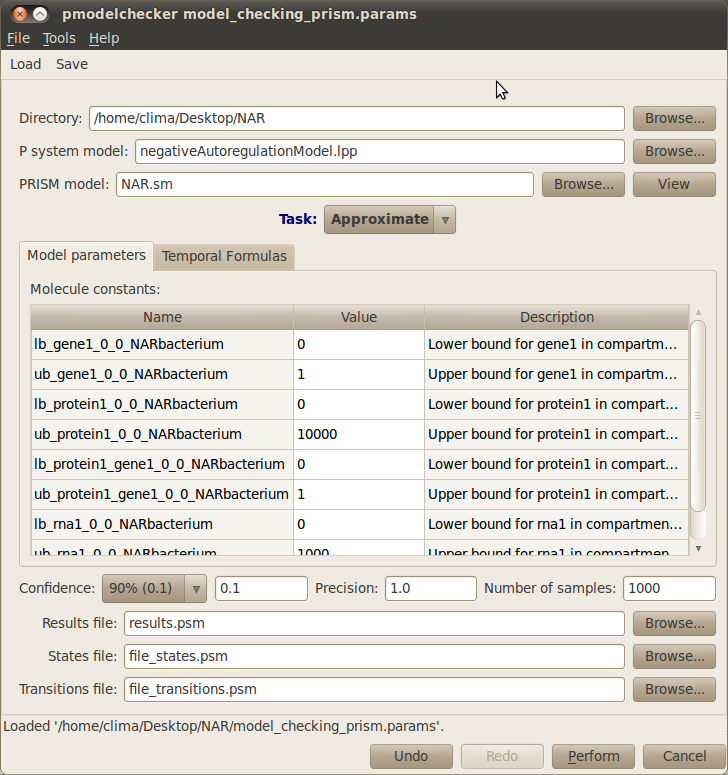 For more details on how to use the Infobiotics Workbench you can read our tutorials. © Copyright 2010, Infobiotics Project. Created using Sphinx 0.6.2.